(Middletown, CT) Gregory R. Shook, President and CEO of Essex Savings Bank has been elected chairman of the Middlesex County Chamber of Commerce. Shook will serve a one-year term which began on June 7. He takes over for Vincent Capece, President and CEO of Middlesex Hospital. Shook was selected to serve as chairman by the nominating committee of its board of directors of the Middlesex County Chamber of Commerce. 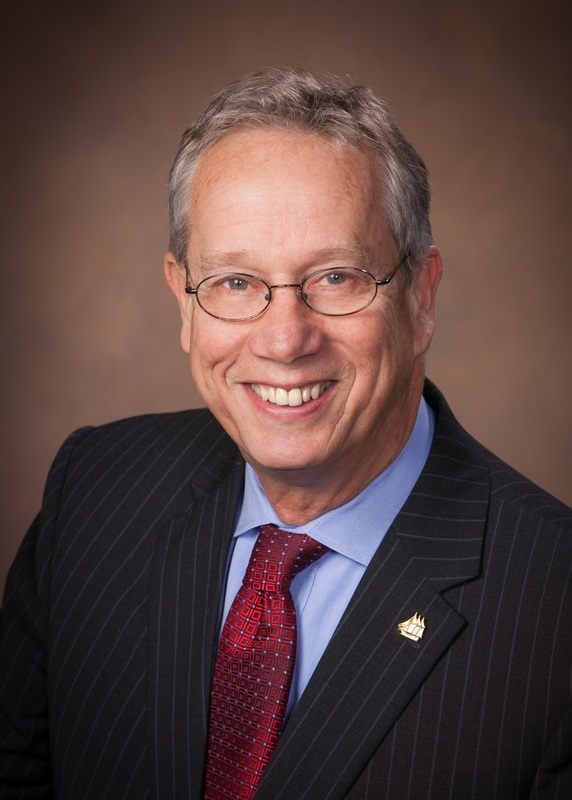 Prior to being elected to this position, Shook served on the chamber’s Vice Chairman for the past year and was active member of the chamber’s board of directors and executive committee as well as the chamber’s Essex division. Commerce, an organization with over 2,175 members representing a diverse membership from small businesses to large companies. The chamber is committed to the success of its members. I look forward to working with the executive committee, the board and the chamber’s staff to add value for our members and strengthen the business community in our tremendous region,” Shook said. Gregory R. Shook began his forty plus year career as an Assistant Manager with the Signal Finance and Mortgage Corporation in Fairfax, Virginia. Since that time he has worked in all facets of the banking industry including lending, investor relations, human resources, marketing, retail and, insurance. In 1997 he joined Essex Savings Bank as Vice President of Administration and was promoted in July 1999 by the Bank’s Board of Directors as the new president and chief executive officer. After only eighteen months on the job, this vote of confidence served to underscore Greg's ongoing, dedicated commitment to the Bank, his community, and his family. As President and CEO of Essex Savings Bank, Greg advocates relationship building while leading the 364 million-dollar bank that has been in existence as a FDIC insured, state chartered, mutual savings bank that was established in 1851. Serving the Connecticut River Valley and shoreline with six offices, two in Essex, and one in Chester, Madison, Old Lyme and Old Saybrook each providing a full complement of personal and business banking. Greg has also led the Bank forward with its full-service Trust department, from zero to $300 million in assets, and is responsible for the Bank's interaction and involvement in its wholly-owned subsidiary Essex Financial Services, LLC, a full-service broker-dealer. This business has grown since 1999 from $700 million in managed assets to over $3.5 billion today. Greg has served his industry across Connecticut and the entire New England Region in both a professional and altruistic manner. In 2014, Greg was elected to serve on the Federal Home Loan Bank of Boston as a member of their Board of Directors. Previously he served on the first Advisory Council of the Federal Reserve Bank of Boston. Other professional associations include the Connecticut Bankers Association where he served on the Executive Committee and serves on the Legislative Committee, the American Bankers Association Mutual Banks Advisory Council, HOPE Partnership, the Community Music School in Essex, the Middlesex Health Care System, and served as a Director to both Essex Savings Bank and Essex Financial Services’ Boards. Additionally he has been a sought after public speaker serving on panels and as a keynote speaker. Greg also leads the Bank in its service to the community at large. He has been the number one proponent in the continuance of the Bank's Community Investment Program through which the Bank has annually donated up to 10 percent of its net profits to over 200 non-profit groups in the Bank's market area. Since the inception of the program in 1996, the Bank has donated over $4 million dollars to community non-profit organizations. Greg maintains a grass-roots approach of sharing directly from the Bank's bottom line, which is uncommon in the industry. He shares the importance of corporate commitment to the community with the Bank’s nearly 80 employees to emphasize the value of giving back especially during times of economic hardship. For his contributions of both time and money, Greg has been recognized by many organizations throughout Connecticut including the Middlesex Chamber of Commerce with their Distinguished Citizen Award. Greg has been married to his wife, Nancy, for 40 years and is the proud father of four children: Rachel, Ryan, Julia, Kyle, and one grandchild, Cyrus.